That was in 2011. Presumably he got his dream job elsewhere as I don't recall his name being mentioned this time! Perhaps if you shared the list of names we could help you double check to see if his name is there. Didn’t realise yuffie had UEFA grade 2 badge. Thought he just had 25yards breaststroke. Sorry, you can now take me off the list Comrade as I didn't make it through the last group interview. I am being head-hunted by Arsenal. But seriously...is there any indication as to when an announcement might be made? Sorry, I really can't reveal anything except to say that the last I heard was that excellent progress was being made. It has been decided and will be made public tomorrow, or possibly tonight. turnstyle13 wrote: Didn’t realise yuffie had UEFA grade 2 badge. Thought he just had 25yards breaststroke. As the squad, for the most part, is now settled would it be possible for Jim, with support from Adie and others, to continue until the end of the season? There doesn't appear to be any problems so what could a new manager add? comrade powell wrote: Sorry, I really can't reveal anything except to say that the last I heard was that excellent progress was being made. Sounds as if you are in charge of Brexit negotiations. mmmmm - start in the gutter??? BBC reporting that Robbie Herrera has left Torquay. General Manager Geoff Harrop says " Robbie has decided he is ready for a new challenge which I fully understand and appreciate." Not sure what that means ( if anything) regarding Bath's search for a new boss. Maybe just pushed out by Owers. BenE wrote: mmmmm - start in the gutter??? I read what Sol Campbell said . . . .referring to managing a non-league team as starting "in the gutter" but I will forgive him that poor choice of phrase if he is willing to come. I know he is ambitious to be managing a higher team and that might mean that (if he came) he might only be with us for one season, but if he is willing to do it for nothing (just a 'win bonus') I am willing to give him a chance. Who knows . . . . if he can get us promoted he might stick with us . . . . . .onward and upward ! Clearly bunkom. There is no estate agent in Twerton. 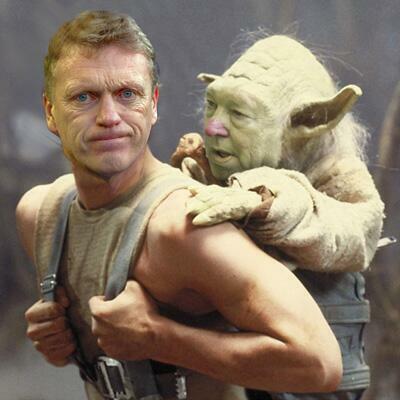 I think I saw Moyes coming out of William Hill, so expect a rapid shortening of his odds. Hmmm, could be castles built on sand.